One phone that you will surely wants is hitting the market is Honor Magic. Honor has always been known as the brand that never compromises on quality. Same goes with the Honor Magic as well. With a powerful configuration and great internal storage, this device turns out to be wonderful device. However, the main attraction has been its wonderful camera quality, both primary and secondary alike. So if you are looking for a powerful device, which has the best in class camera as well, check out this one. It is surely a value for money. The phone comes with a 5.09-inch touch screen display with a resolution of 1440 pixels by 2560 pixels at a PPI of 577 pixels per inch. The capacitive touch screen responds well to multi-touch as well. Under the hood, the Smartphone features a pair for powerful quad-core Cortex A72 and Cortex A53 processors which clocks speed of 230MHz and 1.8GHz respectively. A chipset of HiSilicon Kirin 950 and 4GB RAM ensures high end gaming and multitasking becomes a pleasant experience. Moreover, a GPU of Mali-T880 MP4 takes care of the graphical interface with ease. The Honor Magic exhibits superb quality cameras, with the primary camera being the main attraction. The dual 12MP cameras, paired along with autofocus, dual-colour LED flash, ISO control, high dynamic range mode and 2.2f aperture produces crystal clear images of 4,000 x 3,000 pixels resolution and records high quality videos of 1,920 x 1,080 at 30 frames per second. The front camera too follows close behind with an 8MP lens and 2.0f aperture, enabling you to capture sharp and great selfies and indulge in great selfies. This device provides an excellent storage option in the form of a 64GB internal storage, which cannot be expanded any further with the help of a microSD card. The Honor Magic extracts all its fuel from a 2,900mAh li-polymer battery, which claims to render a long period of Showtime and also charges up quickly with the help of fast charge. 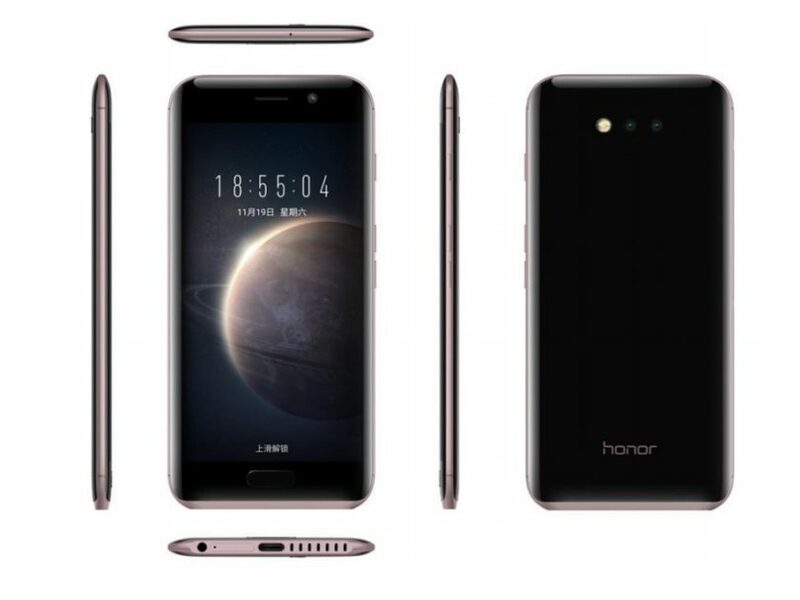 Turning to the connectivity department, the Honor Smartphone features dual SIM slots, 4G, advanced Wi-Fi 802.11, a/ac/b/g/n/n 5GHz, mobile hotspot, advanced Bluetooth v4.2, A-GPS, and microUSB 2.0 slots. This phone will surely make you buy it. The main attraction has been its wonderful camera quality, both primary and secondary alike. With a powerful configuration and great internal storage, this device turns out to be wonderful device.